As in other part of world tipping is quite common in service industry in Nepal too. It is additional expenses you want to give to the service provider when you are pleased and satisfy with their services. Like other country; in Nepal also tips are taken as a token of love and as a gesture of pleasure from the guests. Nepali people are quite friendly by nature and they are self expressive. Most of the clients return with satisfaction and promise to come back again. Because of the friendly nature of guides, local people and hotel crews, your travel become quite enjoyable. Because of all these factors the service providers get good tips from the clients. Though, tips are not mandatory and nobody can force you to tip the people but your guide or Sherpa or porter expect some tips from you at the end of trip. (Hiring Guide and Porter for Nepal Trekking). The service providers never ask for the tips because it is the only clients who decide whether to thank with tips or no to tip them. But in most instances the service providers hope for tips from the clients though they do not ask for it verbally. Usually tips are given to those persons who are directly involved in your service. To name mostly your guide, Sherpa and porters during the trek and tour in Nepal, driver and other attendants who assist you carrying your luggage and other stuffs are supposed to get little tips as well. How much to tip guides, sherpas and porters? Though there is no specification of the amount for tips, tipping small amount of money would disappoint the receiver rather than appreciation. Therefore, it is not compulsory to give. If you are tipping, give at least Rupees 100 which is less than USD 1 for bell boy or cleaning lady in hotels. For an example, if you go for 5 days trekking then we recommend you to give at least USD 10.00 per day which is equals to USD 50.00 to the guide. Similarly USD 7.00 per day for your porter. Moreover; tipping rates also really depend on person going to tip. It also depends on the duration and difficulty of your trek. Many travel agencies recommend 10% tips of total travel package value you buy. If you’re going for a week or two, you can follow below suggestions. 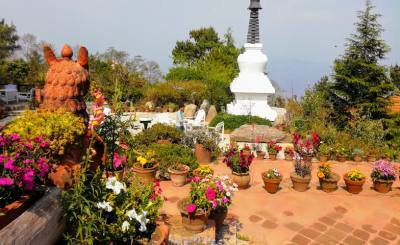 Tip USD 120.00 for your guide and USD 90.00 each porter if your trek is two weeks. If it is more than two weeks in high altitude or trekking through any 5000m mountain passes eg. Annapurna Circuit through 5416 meter high Thorong La Pass or Manaslu Circuit via Larke La (5160m). Tip your guide USD 150 or above and USD 100 to your porter. 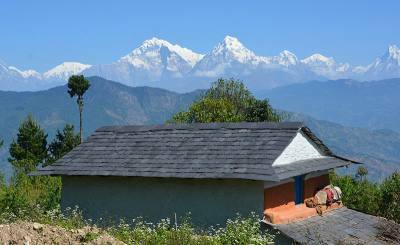 USD 250 – 300 to your climbing guide if you are Climbing Peaks in Nepal. Besides giving cash, you may also leave behind pieces of gear that you no longer need. It is certain that you may have purchased some trekking essentials for your trek. And once you complete the trek, you can consider giving your team the extra equipment. It can serve them well as their work demands them to be on these trails on almost a daily basis. How to Tip in Nepal? You can either put your gift into an envelope or by sensibly taking the recipient aside. Make sure you tip your guide and porter each separately that ensures your amount of tip goes to guide and porter seperately. 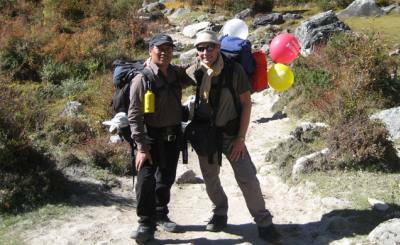 When tipping your trekking staffs, it is best suggested to show your gratitude on the last evening of your trek. Some guides and porters may not be available the next morning and you may miss out on tipping. Also, you may regret not being able to share your final goodbyes. Following people are supposed to have tips in Nepal as they are directly involved in your service. Your climbing guide and supporters. You can tip then any currency (USD, EURO, AUD, SGD, POUND, CAD etc) that easily get exchanged in money changers or banks or NPR (Rupees). But tipping in Nepali rupees would be more convenient for those who don’t live in towns. They won’t have to worry about exchanging to use them finally. You can withdraw rupees from ATMs when you’re in Kathmandu or Pokhara. Or, you can exchange cash in any nearby money exchange counters. Do not showboat your generosity and kindness. Avoid giving worn out and old clothes or goods. It may turn humiliating to the person receiving. Do not tip too less like any notes below Rs. 100 to your guide and porter.